Merritt & Sanderson, P.A. Practicing 14 years. Mr. Sanderson is a member of the Florida Bar, a member of the bar of the United States District Court for the Middle District of Florida, the United States District Court for the Southern District of Florida, the United States Tax Court, the United States Court of Appeals for the Federal Circuit and the United States Supreme Court. Most recently, he became licensed in the US District Court in the District of Colorado, which has courts in Denver, Colorado Springs, Grand Junction, and Durango. Mr. Sanderson represents both plaintiffs and defendants in simple and complex civil and commercial litigation. 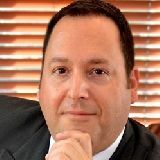 He also handles cases involving unemployment appeals through the Florida Department of Economic Opportunity, non-compete/trade secret litigation, severance agreements, cases of discrimination covered under the Equal Employment Opportunity Commission and/or the Florida Commission on Human Relations, sexual orientation and/or pregnancy discrimination, and administrative appeals for federal, state, and municipal employees. He also handles cases of professional and occupational licensure and certification, including those from the Florida Departments of Law Enforcement, Health, Education, and Business & Professional Regulation. Kevin is a 2012 graduate of the Gulf Coast Leadership Institute of the Gulf Coast Community Foundation. Q. Where can I find online number of age discrimination cases filed, settled, and with trial completed by state please. A: When you find it let me know. Settlement data especially is very hard to come by as settlements are most often confidential. Plaintiffs and their counsel dont have as much statistical information as exists in some other areas of civil trial law. Q. As a federal employee am I allowed to start a petition with fellow employees in regards to retention bonus equality? A: I am not aware of anything prohibiting federal employees from engaging in concerted activities. These are activities designed to bring about improved working conditions, salary, etc. A: There could be several problems here. You may not have been paid for hours worked. More importantly perhaps, do you feel change of pay and schedule was due to characteristics of a protected class such as age, race or gender? Were you retaliated against for engaging in protected activities, like complaining about working conditions? A: You begin describing your circumstances (sorry to hear) but you really dont ask a question. You are in trouble and need to speak in person to an attorney. Q. My ex-employer is owned by a father and two sons. Son A had me arrested for grand theft saying I stole money (OT pay). A: Based on what is presented here, this appears troubling. it is very unusual for law enforcement to involve itself into civil employment matters in this way. I would speak with an employment attorney, and also a criminal specialist to see if there is a case for malicious prosecution, exc. Q. Can an employer fire an employee for being one minute late if they are in the building? A: That does sound troubling. When the reason stated for termination of adverse action is not the real reason (such as age discrimination) we call that a pretext. Q. We have an employee on FMLA who is failing and need some advice on how to proceed. A: It seems you have engaged in some good practices here. Intermittent FMLA is very difficult on all parties involved, co-workers, employers and employees. You would not want me to answer this further in a public forum even though you have not used your name. Arguably I cannot provide any response when I dont know the identity of the questioner. You may consult with me privately. A: Many actions that are fundamentally unfair on their face are not illegal in Florida, unfortunately. You might consider if you are being discriminated against based on a protected class. At this exact moment, it loos like we have an employees market more than at any time in the past 10 years. Talk to them and if they will not match the pay and maybe make up the difference for past hours, look at moving on. A: Often an attorney helps at this stage.